The return of Daniel Bryan has further increased the possibilities of surprises at WrestleMania 34. While it was previously speculated that Daniel Bryan would be involved in a limited capacity at the upcoming PPV, his in-ring return will now lead to a more active involvement. 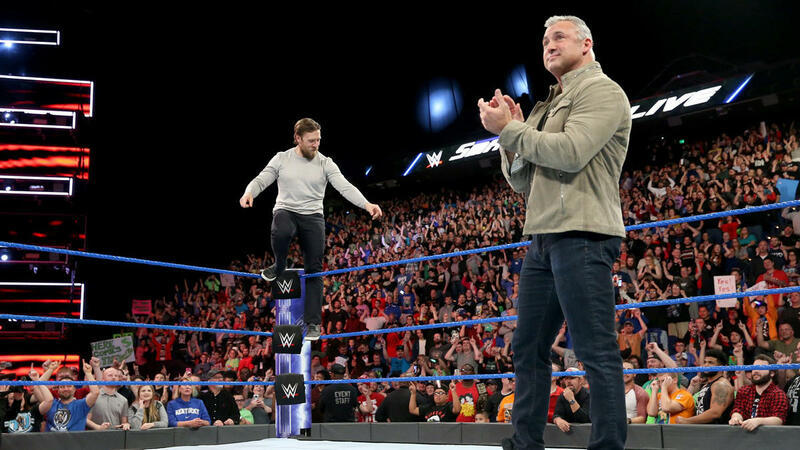 It is being rumored that Daniel Bryan will be involved in a tag team match with Shane McMahon against Kevin Owens and Sami Zayn. However, the tag team match at WrestleMania could have stipulations to make it more intriguing. Bryan Alvarez of Wrestling Observer Live speculated that the match involving the four superstars could be an unsanctioned match or a street fight, as reported by Ringside News. Some subtle indications of such stipulations have already been seen during the last two episodes of SmackDown Live. Kevin Owens and Sami Zayn had brutally assaulted Shane McMahon a week before. Shane McMahon, who accepted that he was biased and stepped down as SmackDown commissioner, had to be taken for a medical evaluation following the brutal assault. 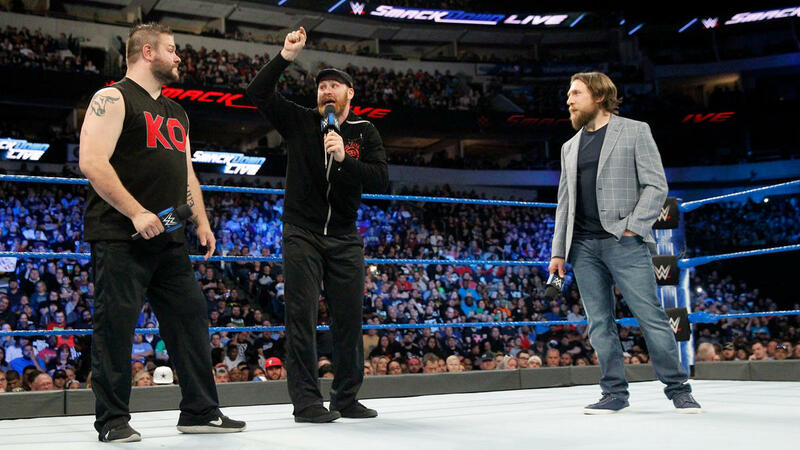 Same scenes were observed during the last episode of SmackDown when Daniel Bryan was assaulted after he fired Kevin Owens and Sami Zayn. He too had to be taken out of the arena on a stretcher. So, both Owens and Zayn are fired at the moment and no longer a part of SmackDown. WWE even went on to remove their profiles from the official website and moved their names to the alumni section. The previously declared singles match between Kevin Owens and Sami Zayn was also removed from the WrestleMania 34 match card. Kevin Owens also changed his Twitter handle to Kevin Steen and removed all references to WWE, as reported by Wrestlezone. Both WWE and Owens are going to great lengths to further sell the storyline. It is rumored that this storyline will be built over the course of next two weeks. Both Kevin Owens and Sami Zayn will remain fired until WrestleMania 34. Following the PPV, they are expected to be drafted to WWE Raw as a part of superstar shakeup. It is not yet clear whether Daniel Bryan has been cleared enough to take part in an unsanctioned match. However, it will be interesting to see an unsanctioned match if he has been cleared. 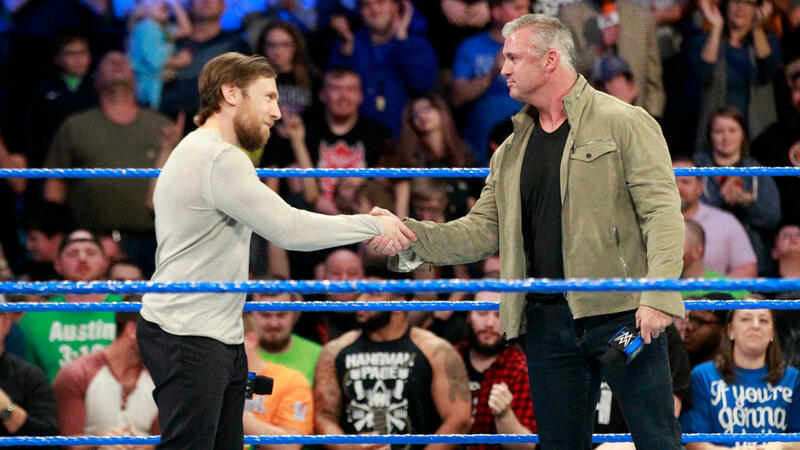 It’s unknown whether Shane or Daniel will return on the next episode of SmackDown Live. Given that we are about two weeks away from WrestleMania 34, things could develop quickly from here.